The Cleveland, Cuyahoga Environmental Crimes Task Force reports they found potentially hazardous materials they said could have blown-up a significant part of a Linndale neighborhood. 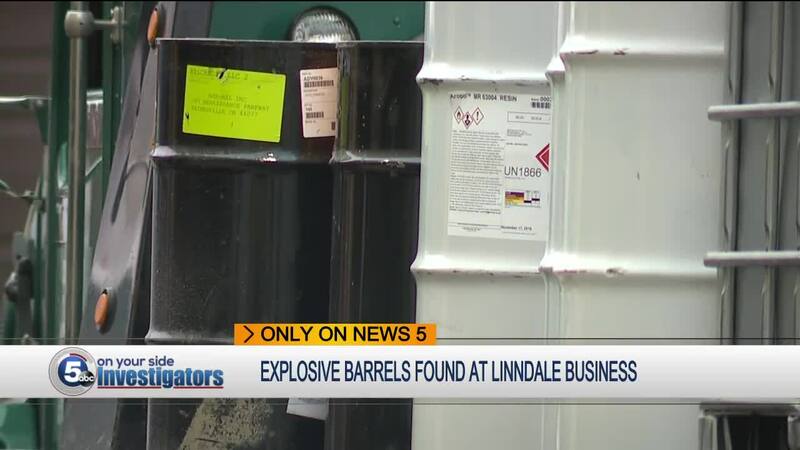 LINNDALE, Ohio — The Cleveland, Cuyahoga Environmental Crimes Task Force reports they found potentially hazardous materials they said could have blown-up a significant part of a Linndale neighborhood. Investigators told News 5 they recovered hundreds of containers that carry a highly flammable resin at Bellaire Auto Parts on Bellaire Avenue. Task force leader Sgt. Andy Ezzo said the owner of the scrap yard illegally obtained and transported the aluminum containers, looking to make some quick cash by recycling the metal. "It's just a package that could explode at any given time," Ezzo said. "Every single drum and tote had hazardous material, flammable material in there." "It probably could have taken out the whole block, it is extremely dangerous." Investigators had to use four large trucks to remove all of the material. Police said the owner of Belliaire Auto Parts was also busted and charged in Oct. 2017 , for allegedly dumping construction debris and other hazardous materials into Countryman's Creek. Ezzo said the owner also faces additional charges in the March 20 sting operation, which was assisted in major way by the Cleveland Hazmat Team. 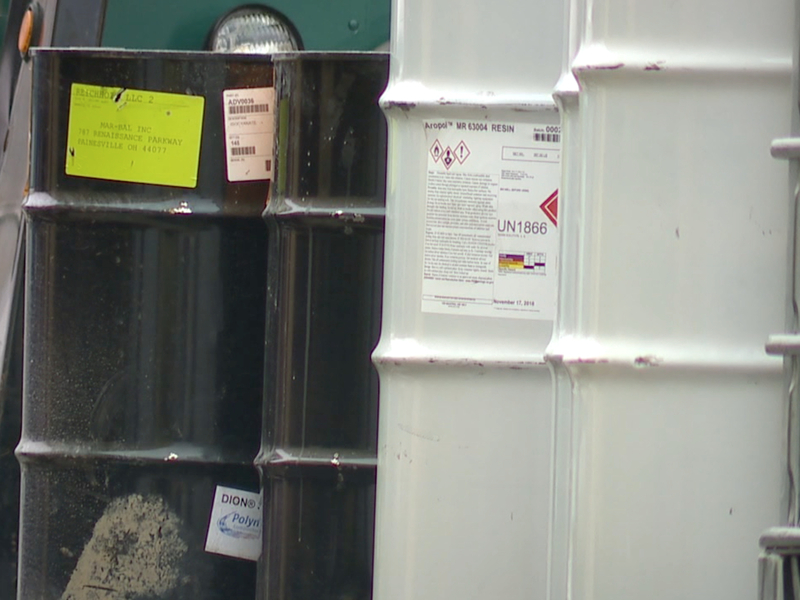 Ezzo said it's illegal to transport hazardous materials in the state without a permit from the Ohio EPA. He said it's important motorists report suspicious or unsecured cargo headed down the highway to police. "So when you do see it going up and down the road, look for a placards, you may not know what the placards mean, but at least they should have placards on there," Ezzo said. "If you don't see the placard, then you know something is wrong."